It’s almost here! The most exciting biennial, world-wide athletic competition known to man! No, silly, not the Olympic games. No, I’m talking about the Ravellenic Games! This’ll be my second time participating. 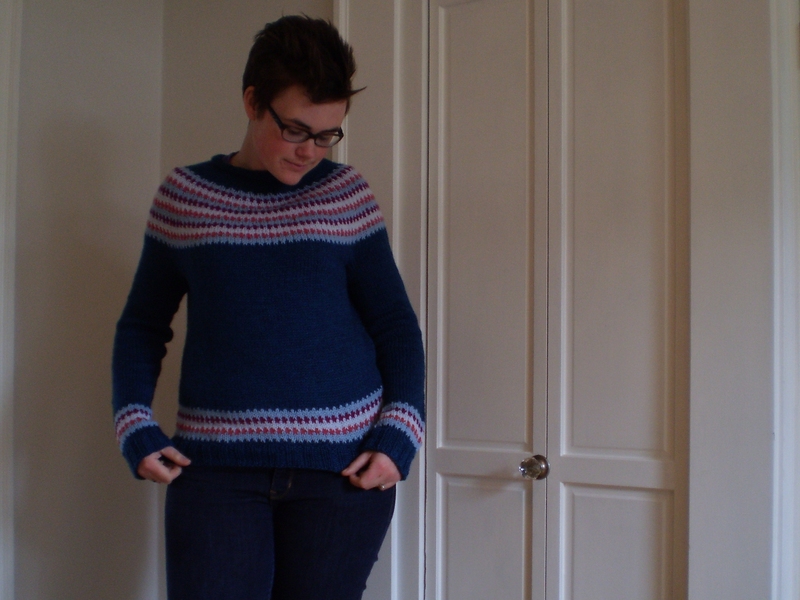 Last time (Winter 2014), I made a sweater. It was pretty great (the sweater, not this photo). I actually still wear it quite a bit. Last time, I planned out my project weeks ahead of time, maybe even months. This time I’m flying by the seat of my pants. Looking at the list of “Events,” I’m thinking I might participate in the Sock-Put, the Sweater Triathalon, or the WIP Wrestling (I’ve got a stack of half-finished projects that need to be finished). Maybe I’ll do Garment Polo- I’ve been thinking about making a cabled skirt (because apparently I want everything I wear to be cabled). We’re going on a road trip during the Olympics, so I’ll have lots of time to knit, but I also don’t want my project to be too fiddly (I get carsick if I spend too much time looking at my knitting). I’m thinking something with a lot of stockinette or garter stitch. Any suggestions? Do you think you’ll be taking part in the Ravellenic Games? What events will you be joining? This entry was posted in Knitalong and tagged knitting, olympic games, olympics, ravellenic games, rio on July 27, 2016 by onemilljellybeans.